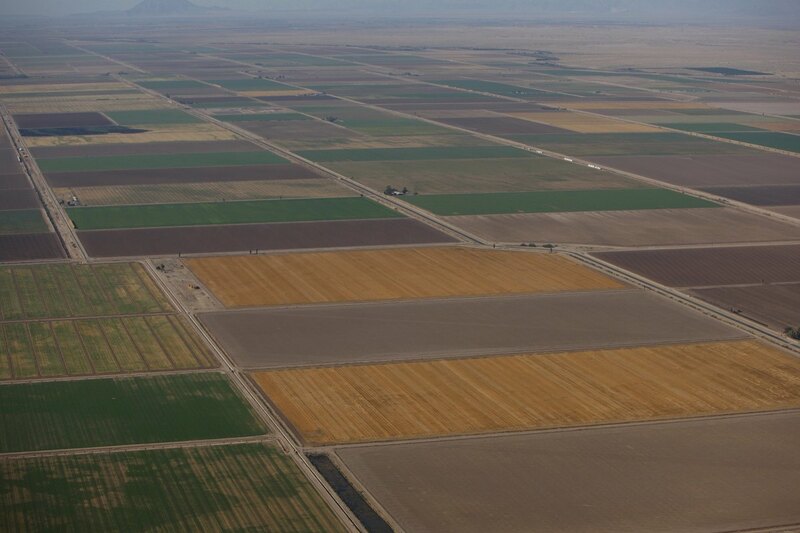 Aerial view of farmland in California&apos;s Imperial Valley. The 2018 farm bill has stalled weeks after its predecessor lapsed—and so, it seems, have negotiations. Congress, now in recess, has yet to mend the gulf between two competing versions: a Senate version with bipartisan support, and the House bill, which proposes serious cuts to federal conservation programs as well as the Supplemental Nutrition Assistance Program. Republican representatives have framed these cuts as a financial necessity. Under the House bill, the nation&apos;s largest conservation program, known as the Conservation Stewardship Program, becomes part of another, this one focused on reimbursement: the Environmental Quality Incentives Program. "We just think that EQIP is more efficient and a better use of the money," Agriculture Committee Chairman Mike Conaway said in April, the industry site Agri-Pulse reports. Now, with the fight over SNAP and other minutiae at an impasse, environmental advocacy groups are coming out in force, arguing that the financial boon of this proposed "merger" is a myth—and would have epically bad consequences. A recent analysis from the National Sustainable Agriculture Coalition, a grassroots policy organization, suggests the House bill would not only do little to save money; it would also effectively eliminate the Conservation Stewardship Program, cutting its most stringent standards and pooling the rest into a more malleable program, which has historically funded one of the country&apos;s worst polluters: large industrial livestock operations. These groups, including NSAC, voiced support for measures in the Senate bill on Monday. 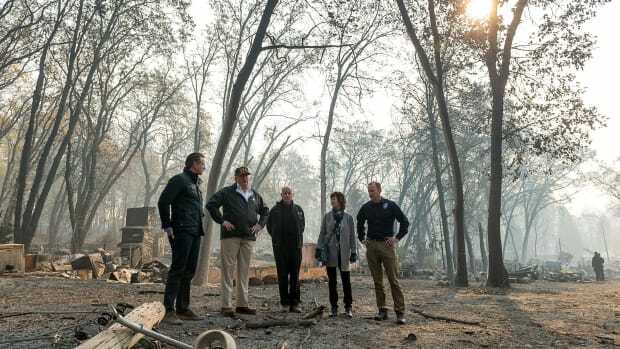 "It&apos;s time to realize that if we want to pass a farm bill, it has to be bipartisan," Scott Faber, vice president of government affairs for the non-profit Environmental Working Group, told reporters, Politico reports. The Conservation Stewardship Program, however, is one thing environmental advocates will not budge on. 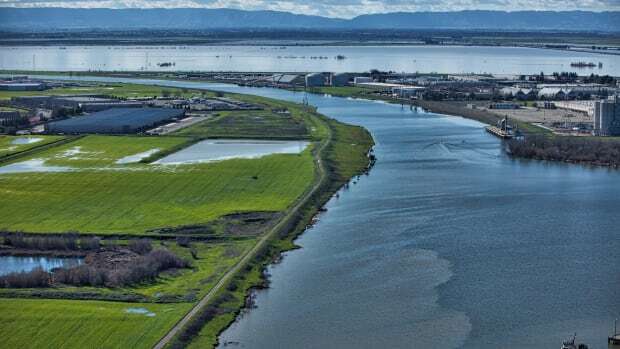 Exempt from the regulatory power of the Clean Water Act, agricultural pollution solely falls under the purview of United States Department of Agriculture conservation programs. Among these, CSP is unique. "It is the only comprehensive conservation program—that means taking on multiple resource concerns, across the entire operation," says Alyssa Charney, senior policy specialist at the NSAC. CSP funds what the National Resources Conservation Service calls "holistic farm stewardship." Farmers who already meet a certain level of conservation receive an annual payment; in return, they work with federal agencies to adopt sustainable practices and install equipment that helps them conserve natural resources on their land. Most often, this means reducing pesticide and nutrient runoff, rotating feeding areas, and controlling the application of chemicals. Nationally, $235 million has gone toward improving water quality, $160 million to air quality, and $152 million to soil quality, according to an EWG analysis of data secured under the Freedom of Information Act. Still, this approach is not perfect. The EWG, for example, argues that voluntary programs don&apos;t go far enough, since polluters are not forced to comply. The department has admitted as much: In polluted watersheds, the voluntary approach has not promoted practices "sufficient to produce measurable improvements in water quality," Marc Ribaudo, former chief of conservation and environment for the USDA&apos;s Economic Research Service, wrote in a 2015 policy analysis. And yet some research suggests even voluntary working-lands programs can have real environmental impact. 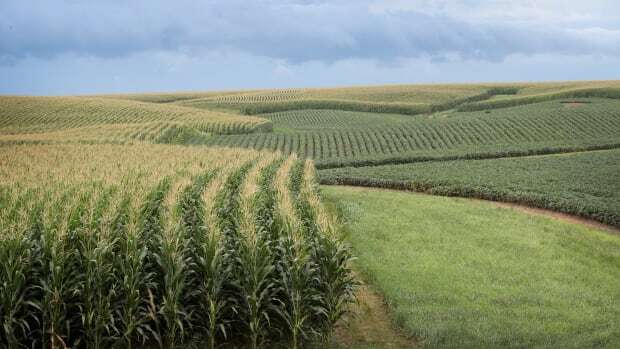 A 2018 study of Midwestern corn producers found that, more than any other type of USDA assistance, these programs encourage farmers to adopt best practices for managing nutrients in fertilizer—a common source of nitrate pollution, which can harm watersheds and contaminate drinking water. EQIP, on the other hand, reimburses farmers for individual purchases that promote conservation. Because it does not require a baseline of conservation or promote multiple strategies, this broader approach has been exploited in the past. EQIP claims to help small farmers "address natural resource concerns and deliver environmental benefits." 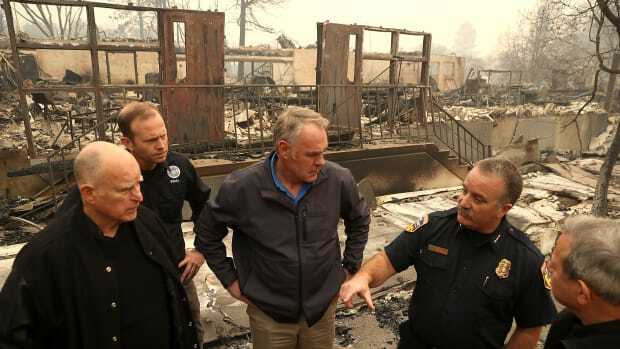 But in 2016, 11 percent of these funds went to large industrial farms, known as concentrated animal feeding operations, which flood the nation&apos;s waterways with noxious gases, heavy metals, and microbial pathogens. The stewardship program prohibits support for these operations; EQIP does not. By merging the two, the NSAC argues, the House is essentially watering down the federal government&apos;s approach to conservation. "By default, you are expanding the total available funding that can go to those structural practices that are benefiting concentrated animal feeding operations," Charney says. As a result, these federal funds might be "used as a conservation subsidy, essentially, for CAFO expansion." At the center of this debate, Charney sees two conflicting approaches to conservation. In one, the government attempts to hold its participants to a higher standard. In the other, farmers have more flexibility—and less accountability. NSAC, though a vocal supporter of the first, does not see its position as inherently progressive; voluntary conservation has always been the least the USDA can do. "Generally, before this, voluntary conservation programs and working-lands conservation programs [were] not a partisan issue," Charney says. "We&apos;ve gotten to this place where it is really challenging to get beyond that."